Maintenance breakdowns in manufacturing costs time, work hours, and resources. Our CMMS can help reduce those unexpected, and unnecessary losses. We specialize in equipment maintenance software, also known as a CMMS. Our software can help you maintain multiple manufacturing systems, machines, manufacturing lines, or entire facilities. Start making your life easier today. Easily track and view past maintenance work, schedule automatic alerts of future maintenance, and see the current status of work orders. Automate those tedious, forgettable tasks so that you can focus on the in-field maintenance work that really matters. Why use our equipment maintenance software? For far too long maintenance software has been unnecessarily complicated. We decided to put an end to that. Our maintenance software focuses on combining ease-of-use with enterprise functionality, so it’s fully loaded with features, but you also get simple, smart software that makes your job easier, drives productivity and improves efficiency. It takes less time to learn and comes with embedded instructional videos so you’re never more than a click away from support if you get stuck. Imagine that. You actually can have it all. The cloud is a breath of fresh air from outdated, complicated, expensive maintenance software. Cloud lets you securely run maintenance and asset management software over the Internet without having to buy, install or manage any hardware. Just open your browser, login and start using your software immediately. There’s no complicated, costly upgrades to worry about either. We provide automatic, free upgrades so your software is always up to date and requires no work on your part. Cloud is the magic that makes us different from the other guys. Our fully mobile software offers maintenance management that’s always within reach. That means anytime, anywhere access to your maintenance software on any mobile device. Whether that’s your smartphone or tablet we’ve got you covered. 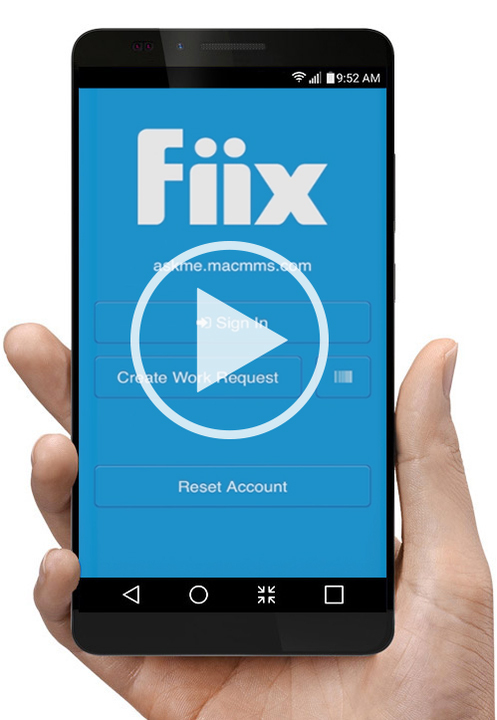 Our native app is available for both iPhone and Android, and it makes full use of your phone’s built-in functions so you can scan an asset barcode, take a picture of the repair, and create the work order while you’re in the field and on the job. It’s a piece of cake. At Maintenance Assistant we believe in total transparency and flexibility. When it comes to our pricing, what you see is what you actually pay, always. No hidden fees and no surprises. There’s no major up-front investments in licenses, hardware or implementation. Instead, you pay an affordable subscription fee that fits any size business to instantly access enterprise-grade maintenance software which you can cancel at any time. There’s no contract, there’s no catch, there’s no risk.